Whether you are using a flashlight, cordless power tools or cellphone, battery powered tech makes life easier. But what happens to batteries when they reach the end of their lives? We'll explain safe battery recycling – where, how, and why you should. 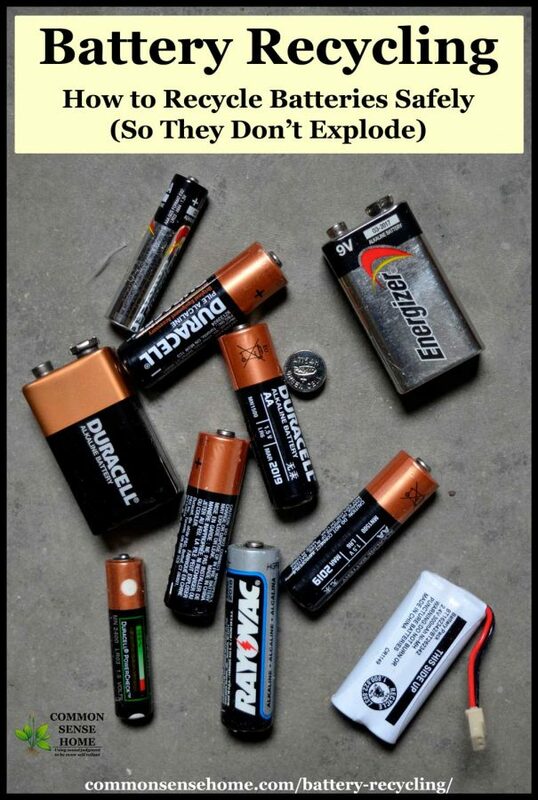 This is extremely important, because some batteries can explode or catch fire if handled improperly. When batteries end up in a landfill, the toxic materials in them can leach into soil or nearby water sources. Accidental or improper incineration of batteries can also release toxic fumes into the air. Depending on the chemistry of the battery, incorrect disposal can even be dangerous. Improperly discarded lithium and lithium-ion batteries, for example, can combust. Recycling batteries keeps potentially toxic products out of landfills. The batteries can also be broken down into their components and the materials can be reused to make new products. 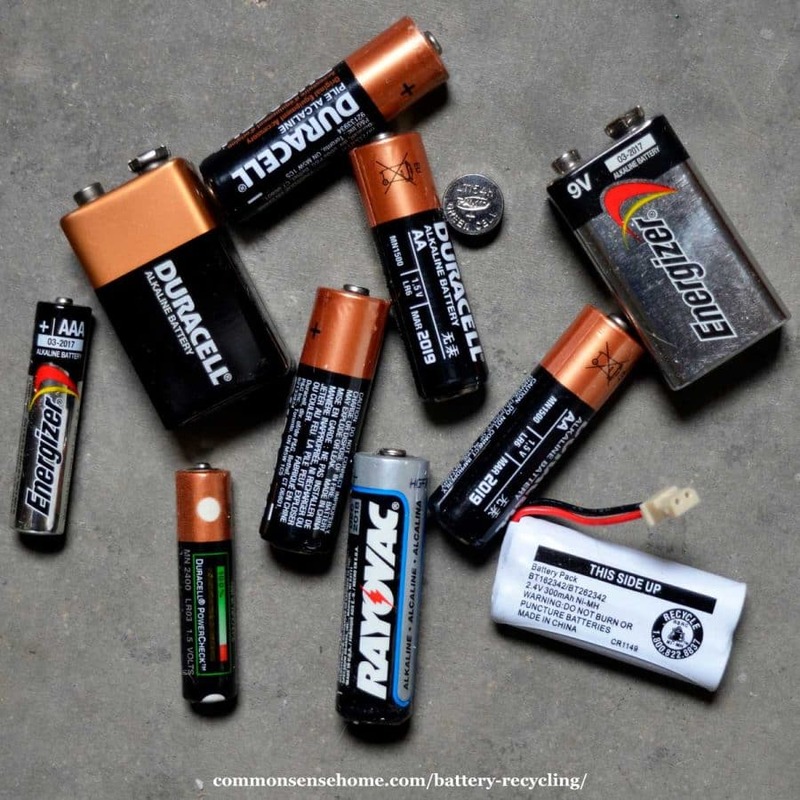 The laws for recycling or disposing of batteries will vary depending on where you live. In California and Vermont, for example, it is illegal to put batteries in the garbage. Where do I dispose of used batteries? To find a recycling option near you, first check with your local municipality. If you have trash and/or recycling pickup, it may include guidelines for battery disposal. If you can't find local information, check out Call2Recyle. Call2Recycle is a federal recycling program that has battery collection centers all over the country. You can search for a battery recycling location near you using the Call2Recycle website. Many national hardware and big box stores have battery recycling programs. Home Depot and Lowes, for example, partner with Call2Recycle to provide drop off locations around the country. If you do not have a convenient drop off location by you, you can still mail your used batteries to a service to be recycled instead of throwing them in the trash. Retriev Technologies, Inc.’s Big Green Box program allows businesses and households to collect and mail back all sorts of batteries for sorting and recycling at their facilities. There is a Little Green Box that is smaller and more affordable for individual households. They even collect and recycle alkaline batteries, which are not recycled at many facilities due to cost. For most recycling centers, simply put your batteries in a plastic bag, which will keep any caustic battery materials from leaking, and leave them at the drop-off point. The facilities that recycle the batteries will sort them properly. For some batteries, you will need to cover the terminals with clear tape to insulate them while still being able to see battery information. Green said to insulate alkaline batteries, nickel cadmium batteries and nickel metal hydride batteries only if they are greater than 9 volts. All other battery chemistries other than those three need to be insulated regardless of voltage. With batteries that are small or tricky to remove — like button cells, for example — Rubinstein suggested chucking the whole device instead of going through the hassle and hazard. This is especially true of batteries in cellphones and laptops, which you should not attempt to remove for your own safety. Rubinstein said that Call2Recycle and many other recycling programs will accept whole cell phones, laptops and other electronics for recycling in such instances. Do corroded batteries need different treatment? If your batteries are leaking, bulging or have a metallic crust on the outside, they may be corroded. Rubinstein said that it's safe to dispose of corroded alkaline batteries in the trash in a plastic bag, but treat corroded lithium batteries with great care. Sam Schipani is a staff writer for Hello Homestead and the Bangor Daily News. She loves watching hummingbirds, eating flowers and shopping sustainably. She has previously written for Sierra, Smithsonian, Earth Island Journal, and American Farm Publications.